The HP 15-ac010nr is a laptop PC that features the processing muscle of Intel Pentium 3825U that features 2 MB level 3 cache and runs at the clock speed of 1.9 GHz. This laptop has an integrated graphics controller dubbed Intel HD graphics which is capable of rendering high definition movies and playing less demanding games with ease. 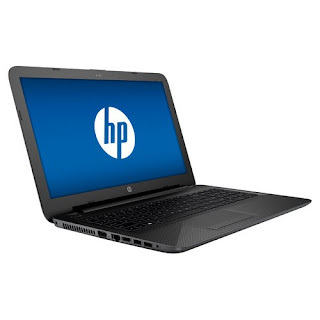 The HP 15-ac010nr laptop comes equipped with a 4 GB system memory for basic multitasking; 500 GB hard drive for serviceable file storage space and spins at the rate of 5400 RPM and Cloud storage that lets you access your files anywhere; Wireless display capability to wirelessly transmit content to your compatible HDTV; built - in stereo speakers with DTS Studio Sound; built - in media reader for simple photo transfer; built - in webcam; full island - style keyboard with 10-key numeric keypad; SuperMulti DVD/CD burner; HP CoolSense technology keeps you comfortable and automatically adjusts the laptop's temperature based on use and conditions; HP SimplePass which lets you access multiple accounts with a single password or PIN number; and 3-cell, 2800 mAh lithium-ion polymer battery which will give you several hours of working away from the main source of electricity. The HP 15-ac010nr laptop PC is packed with the following display features like 15.6" HP BrightView glossy screen with 1366 x 768 screen resolution. The resolution in this laptop PC is common to entry level laptops, so it is expected that the display in this laptop PC is not that sharp and clear compared to laptop PCs with higher resolution. It comes in textured diamond pattern in black finish. 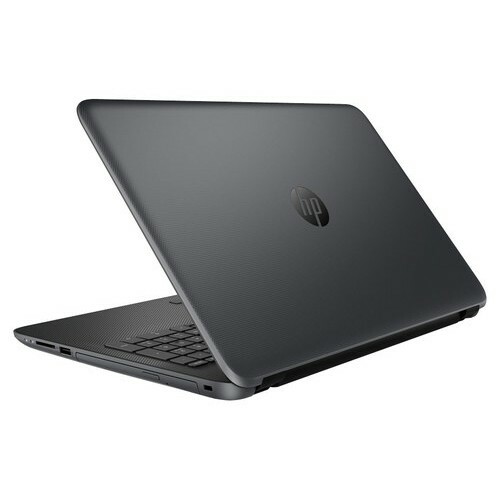 As regards to connectivity, this HP 15-ac010nr laptop PC is equipped with wireless and wired network connectivity; 1 USB 3.0 port maximizes the latest high-speed devices and 1 USB 2.0 port to connect more accessories and peripherals - the USB 3.0 port is backward-compatible with USB 2.0 devices (at 2.0 speeds); and HDMI output which expands your viewing options. 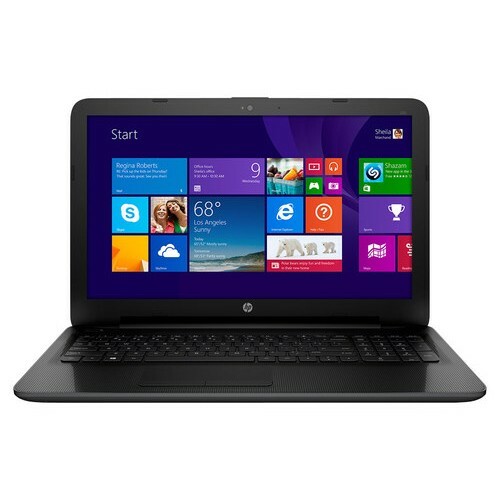 The HP 15-ac010nr laptop PC is powered by Windows 8.1 operating system. It measures around 0.96 inches x 15.13 inches x 10.02 inches and weighs about 4.73 pounds. You can have this computing device at the price of $ 419.99.